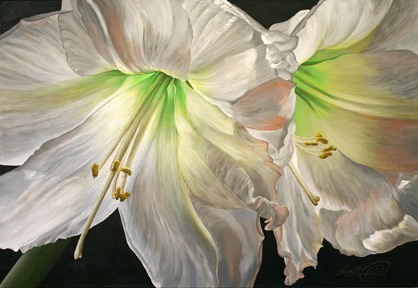 Twin Flames is painted from my all time favorite amaryllis plant. I have grown it for years and the way the petals fringe slightly in the flowers from this bulb never fails to delight me. 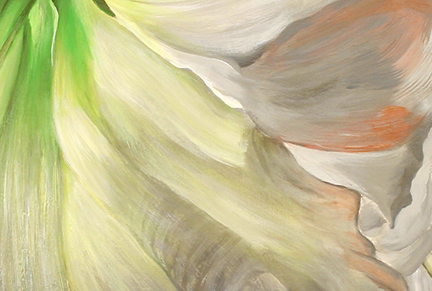 This painting sold quickly after completion and flew away in a private jet.